Trekking to Machu Picchu is an incredible experience. The stunning scenery, mountain vistas and, of course, the history of the land makes it quite simply one the most popular tourist destinations in the world. Because of its popularity, the Peruvian government have had to initiate certain schemes to protect the Inca Trail. 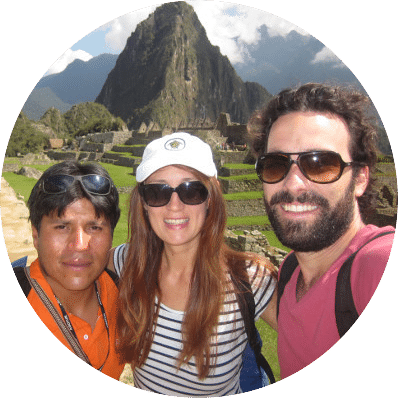 The most notable of which is that only 500 trekkers are allowed on the trail on any given day and that any trekker wishing to hike the Inca Trail must be accompanied by a guide and porters. Because of this, we often get asked by readers ‘how much do I tip porters?’ and ‘Are the porters treated fairly?’. To answer this we have decided to write an informative page on the subject as tipping on the Inca Trail and porter welfare are by no means crystal clear subjects. I can guarantee at some point during your trek you’ll be puffing and breathing hard (there are a lot of stairs!). It’s normally at these points when you realise that your porter has gone on ahead of you carrying all your bags and gear, not to mention the camping and cooking equipment. They do this with no fuss and are often happy to give you a boost along if you need it. When you arrive at your camp site you’ll find all your tents set up and a nice hot meal on the way. Naturally, it’s important to thank these guys for their efforts as they make the whole trekking experience far more relaxed and easy. Along with your thanks, tipping porters on the Inca Trail is common practise and one that all tour operators encourage. However, yipping porters in Peru is not as straight forward as one might think. Unlike many other popular trekking destinations like Mt Kilimanjaro and Nepal, there is no set (or standard) amount top tip your porters. So how much do you tip them? The first thing to make clear is that if you are not happy with how the guides, chefs or porters have performed on your trek, you are not obliged to tip them. Porters soon realise their service is not up to scratch if they receive minimal tips. Tipping should be solely dependent upon how good you thought the quality of service was. If you think certain people performed their job well and others did not, you are advised to simply tip the people whom you thought deserved it. The actual amount you pay your porters is totally up to you, however, we recommend in the region of 30-35 soles per porter/guide. This amount is per group, not per person. Therefore, each person on the trek would usually pay in the region of 5 – 10 soles to each porter/guide. We always advise that you take plenty of small change so that you can give each porter your tip personally. Please avoid giving all your tip to the guide or chef in the hope that they will distribute the tips fairly among the porters. This is rarely the case and the guide will usually take the lions share if you do this. Many trekkers often like to tip porters in excess, some times hundreds of dollars! We strongly recommend you don’t do this as many porters will often celebrate and end up drinking the money away in a bar in Aguas Calientes. Although this sounds harsh and extremely generalized, we have heard countless stories of this happening. We therefore suggest to keep your tips to a sensible amount as the money then reaches the porters families also. It’s advised that you don’t ask a porter how much he gets paid as you are unlikely to get a straight response. A porter that gets paid well will usually state otherwise and porters who get paid very little are often instructed by their employees to not state this to clients. Sadly, porter mistreatment is a common practice on the Inca Trail. Therefore, porter welfare is super important and something potential trekkers should take into account before trekking. 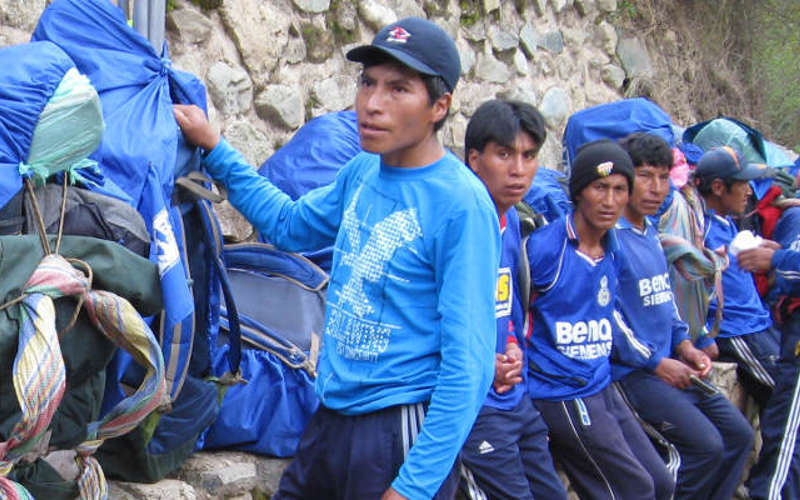 This is why Inca Trail operators can charge significantly different prices as many operators pay their porters below the national minimum wage. So how can you help? Here are our top tips in dealing with porter welfare. 1. Book with a responsible trekking operator. This is a difficult problem as how do you know which operators treat their porters fairly? There is no simple answer to this except to say that if an operator is charging significantly less than others then this is a sure sign. Thanks to the government, there is a national minimum wages for porters, sadly though, many trekking operators choose to ignore this to bring down their prices. 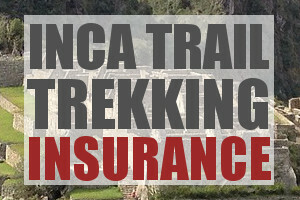 If a standard group booking for a four day Inca Trail trek costs less than US$500, be wary. If you are concerned, we always recommend asking an operator directly about their porter treatment and wages. You’ll usually get a good idea from the answer you receive, whether it be an open answer or a cagey one. Also, because of overseas insurance policies, western operators almost always treat their porters fairly, although you will pay slightly more for this piece of mind. Click here for our recommended operator. 2. Hire a porter on top of a guide. Hiring a porter as well as a guide will make your trek far easier and thus, more enjoyable. Not only will you have less to carry and more time to admire the scenery, but you’ll be supplying employment to local people who need it. 3. Talk with your porters. Porters will usually not speak until you choose to speak to them. The reward is to learn about their way of life and local culture. Porters often have great stories about old traditions and will often sing taditional songs for you over a nice cup of tea. 4. Show your porter proper respect. Always thank your porter verbally along with a tip. Make them feel valued and try to engage with them along the trek. By law, porters are only allowed to carry a maximum of 20 kg on the trail and 4 kg for personal gear. To ensure this happens, porters are weighed at the entrance point and then at Wayllabamba on the second day. Although the regulation is strictly enforced, less ethical operators still find ways around this restriction. Often, guides and helpers will take luggage as they go through the check points and then hand them off to the porters once safely away. Also, many operators restricts porters personal gear allowance so that they can load their porters up further. Please look out for any of these signs and report them. A major difference between a good operator and a poor one is how they treat their porters. Often companies will only feed their porters the leftovers of what is not eaten by the trekkers. This inevitably means that many porters eat extremely little and finish the trek both tired and hungry. Porters usually sleep together in the large dining tents. However, when it rains the floor of these tents become drenched and freezing and the good operators will provide floor mats and bed rolls for their porters. Bare in mind that the later you stay up talking and drinking in the dining tent, the longer the porters have to sit outside in the cod and wait to go to bed. If you notice any porter mistreatment you need to report this to the your guide immediately. If your guide does not resolve the problem it is up to you to complain forcibly to the office manager on your return. If you want to make a big impact, do this when the office is full of potential trekking clients. We hope you found this article helpful. If you have any further questions about tipping on the Inca Trail or porter welfare, please just leave us a message below and we’ll respond as soon as possible.